My name is Ann Murdoch. I have found working with Forever is a really exciting opportunity as it offers the opportunity to meet new people and allows me to work from home. 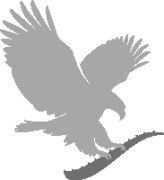 Please feel free to take a look through the website and magazines and get in touch if you need to know more. 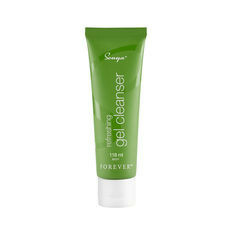 You may already be aware that Forever’s Sonya Daily Skincare products all work together as a system. 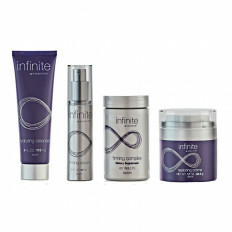 So too, do Forever’s Infinite by Forever Advanced Skincare System products. It’s in the name, right? But actually, what you may not know is that all of Forever’s skincare products have been specifically designed to work with each other, so that you can create your own highly personalised skincare regime. Before you can create your skincare regime, you need to get to know your skin. Once you know what your skin is like, you’ll know how to choose the best skincare products for it. There are three skin types: oily, dry and combination. Oily skin generally has an all-over tacky feeling with a noticeable shine. Dry skin on the other hand, is characterised by dehydrated or rough patches, flakiness and tightness. If you’re reading this and you don’t feel like your skin fits into either category, then you probably have combination skin. Combination skin has a mixture of dry and oily areas, generally resulting in an oily T-zone with areas of dryness. Although we’ve all heard the phrase thrown about before, ‘normal’ skin does not exist, so you’ll want to look for combination skincare products if that’s how you’ve previously defined your skin. As well as choosing your skin type, you may also want to be aware of specific skin concerns. For instance, you might have sensitive skin or your skin may require an exfoliator. Forever’s targeted skincare products have been created to target these concerns, allowing you to pinpoint exactly what you want your skincare routine to achieve. If you identify your skin as sensitive, you may find that products with ‘parfum’ can exacerbate your sensitivity. In this case, it’s best to choose products that are fragrance free. Thankfully, Forever’s Sonya Daily Skincare and Infinite by Forever Advanced Skincare System products are all fragrance free. Instead of adding parfum, Forever allows the natural scent of botanicals to shine through, meaning you don’t need to worry about extra sensitivity. These areas may be influenced by your skincare concerns from above, but they are not limited to them. Choosing the particular areas you’d like to target will help you to determine the best skincare products to include in your daily routine. For instance, if you have fairer skin or you want to make sure your skin gets that little bit of extra protection from the sun, you might want to include a bit of SPF in your skincare. In this case, you might incorporate Protecting Day Lotion into your routine. This silky cream contains over twenty skin-conditioning ingredients and shields your skin from harmful UV rays due to its broad-spectrum sunscreen with SPF 20. You may also be looking to reduce the appearance of wrinkles, dark circles and puffiness around your eyes. For striking, bright and beautiful eyes that sparkle all day long, Awakening Eye Cream is a good choice. This is also a good time to take a general note of what types of products you like to include in your daily routine. For example, if you are a big fan of toner, incorporate a toner after cleansing; if you love the effects of an exfoliator, ensure you include exfoliator. Your routine should be unique to you, and that’s why with Forever’s skincare products, you can mix and match whichever products you like until you’re happy. Once you’ve identified your skin type, skin concerns, the areas you want to target and the types of skin care products you want to use. The best skincare routines usually start with a cleanser to wash away dirt, oils and makeup and Forever has two to choose from. For combination or oily skin, Forever’s Sonya Refreshing Cleanser contains acacia concinna fruit extract which helps remove dead cell build up, dirt and makeup for a thorough and gentle clean. Alternatively, for dry or ageing skin, Infinite Hydrating Cleanser is full of potent, naturally derived ingredients like apple extract, apple amino acid and cocoa fatty acids that increase skin hydration and gently wash away dirt and oil without drying. If you have combination or oily skin, you might want to follow up your cleanser with Balancing Toner. This toner minimises the appearance of pores and hydrates the skin before moisturising. Simply apply a generous amount to a cotton ball or pad and apply to your face and neck. 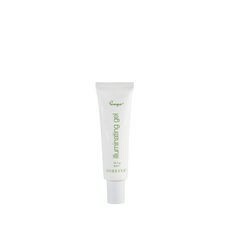 Next, a great product for all skin types is Sonya Illuminating Gel. Containing a combination of five Asian botanicals, including liquorice root, Sonya Illuminating Gel evens and brightens the appearance of overall skin tone to leave you with a soft, smooth complexion and a healthy glow. 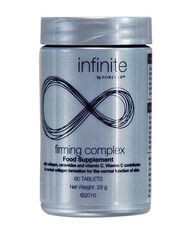 If your skin is naturally dry, you may want to then follow up with Infinite Firming Serum. Paired with powerful natural ingredients and our patented aloe, this serum makes skin feel smooth and firm, and your complexion appear visibly younger. Now it’s a great time to get out your moisturiser. With over ten natural plant extracts and oils, hydrolysed collagen and apple fruit extract, Sonya Soothing Gel Moisturiser gives combination and oily skin the powerful soothing and moisturising properties it craves. But for those with dry or ageing skin, who require a deeper moisturiser, give Infinite Restoring Crème a go. This impressive cream absorbs fast to leave skin feeling moisturised and smooth, whilst powerful botanicals including acai and pomegranate help to reinforce the skin’s natural barrier, replenish parched skin and reduce the appearance of ageing. After moisturising, you can use Awakening Eye Cream to smooth and firm delicate under-eye skin. Thanks to peptide technology, collagen and other powerful ingredients, this cream helps reduce the appearance of wrinkles, dark circles and puffiness. Simply use your ring fingers to gently dab a moderate amount below and around the eye area (these fingers put the least pressure on your face when applying). Certain skincare products are not suitable for use every day of the week, but that doesn’t mean that you should leave them out altogether. 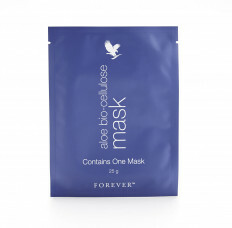 Treat yourself two-to-three times a week with an Aloe Bio-Cellulose Mask. Through a process unique to Forever, this mask’s formula fuses pure aloe and seagrass with the bio-cellulose fabric to soothe, soften and condition skin. You can also refresh your skin with Smoothing Exfoliator two-to-three times a week. Instead of artificial microbeads, this gentle exfoliator uses natural jojoba beads and bamboo powder to remove dead skin cells without harming the skin or the environment, and added lemon essential oil works as a rich moisturiser to hydrate the new skin beneath the surface. In the end, the best skincare products to use are the ones that suit your skin type and your needs. 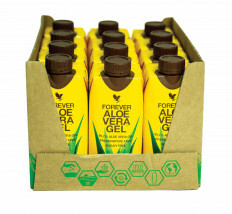 Forever has a wide range of skincare suited to all skin types and being able to mix and match the products means that you can tailor your own regime so that you can feel happy in your own skin. 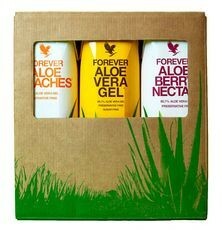 Which Forever skincare products do you use? Let us know in the comments.